From December 13th to 15th 2017, in Dakar, Senegal, a group of experts from civil society and international organizations gathered for the Technical Consultation Validation of the Draft Five Year Project on Transformation of the Informal Economy and the Roadmap for the Elaboration of the First Report in Informal Economy Statistics. A principal aim of the meeting was to validate the 5-year plan for transformation of the informal economy which has been drafted by the African Union and the International Labour Organization. The plan represents a major effort to address data on the informal economy and working conditions of informal workers in Africa. 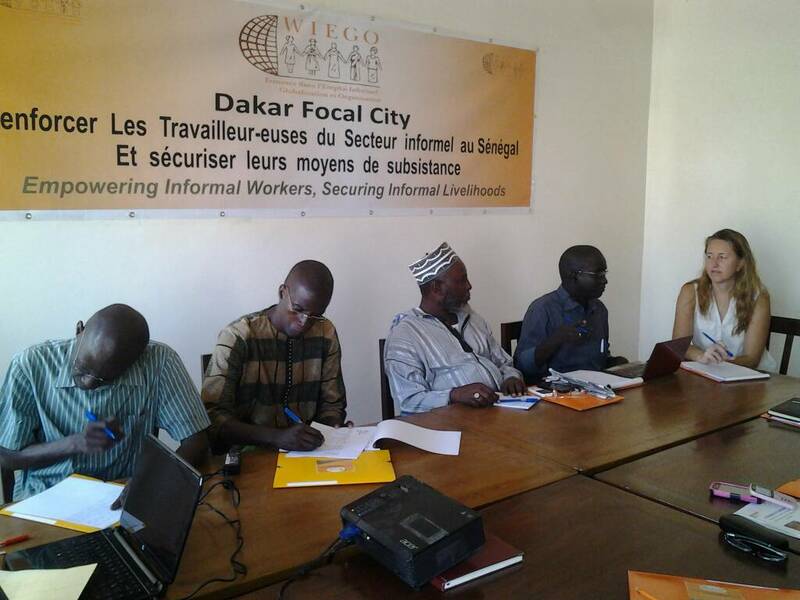 Adama Soumaré, Dakar Focal City Coordinator, represented WIEGO at the workshop. During the event, a number of important topics were discussed as they related to the informal economy in Africa, including social protection extension; organization/empowerment of workers for recognition and participation in policy dialogue and social dialogue mechanisms; local government engagement; productivity and skills; and key fields of research to fill knowledge gaps.